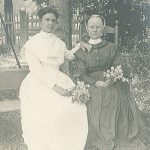 Sisters Lillian Barlow and Eldress Margaret Egelson, ca. 1910. In 1908, Eldress Margaret was sent to the Mount Lebanon Second Family, where she was responsible for reinvigorating the chair business. Sister Lillian Barlow and Elder Ernest Pick made the chairs and Eldress Sarah Collins at the South Family finished and seated them. 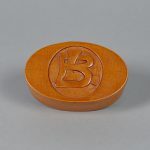 Oval box carved with the initials “LB” on the lid, probably made by Brother William Perkins. 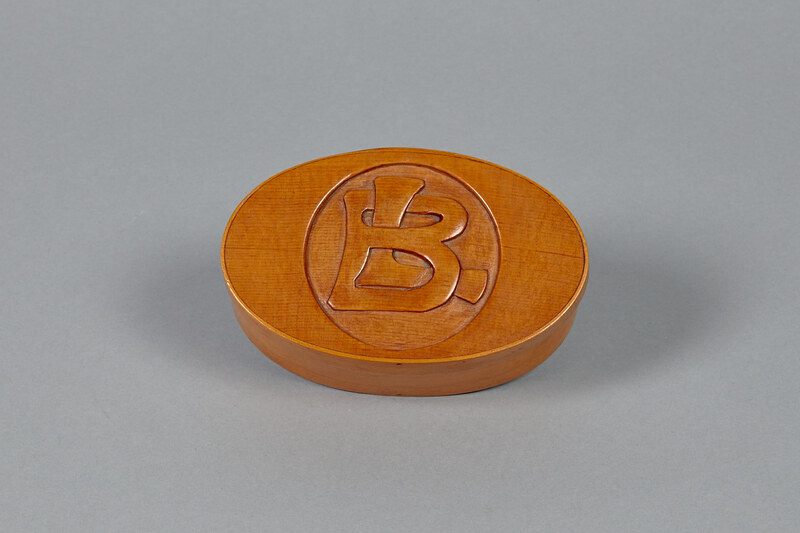 He and Sister Lillian made oval boxes, chairs, picture frames, and other wooden novelties to sell in the Shaker store. 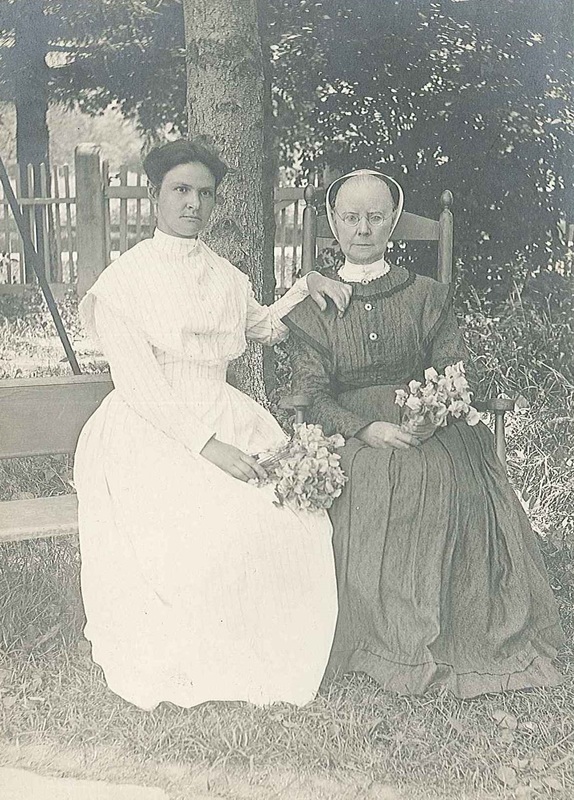 Sister Lillian Barlow challenged gender norms when she began working in the chair shop at Mount Lebanon. From early on the Shakers divided work between men and women, and the chairs were men’s work. By the beginning of the 20th century, however, Barlow ran the Mt. Lebanon Woodworking Co. alongside Brother William Perkins. This prominent business created patterns and models, produced cabinets and woodcarvings, and restored antiques. Little is known about how Barlow, who was born in Mississippi, came to live with the Shakers as a child. Before moving into the chair industry, Barlow worked in the more traditionally female commerce of raising and drying sweet corn and canning other vegetables.